(New York, NY) AOP has received a dollar-to-dollar matching contribution from an anonymous donor during the last week of its Kickstarter campaign for Harriet Tubman: When I Crossed That Line to Freedom, in rep at the Irondale Center this spring as part of the Lines of Freedom Festival. With less than five days to go, the campaign is still accepting donations for the chamber version World Premiere of Nkeiru Okoye’s acclaimed folk opera. The campaign has already garnered attention from media sources including an article in the New Yorker. AOP has previously had successful Kickstarter campaigns for its premiere production of Phil Kline’s Out Cold at BAM and the Composers & the Voice (C&V) concert series. Funds for the Lines of Freedom Kickstarter go “directly to our creators – composer, Nkeiru Okoye, our hardworking casts of actors and singers, talented instrumentalists from the Harlem Chamber Orchestra, local chorus members, and technical artists” as well as to subsidize additional performances for local students. This week I was most struck by how perceptions about ourselves as artists – whether performing, creative, or both, led to differing reactions to music. We began Monday’s session by hearing Deborah Lifton sing a new work by Guy Barash – and she did a fantastic job with Guy’s microtones! Having been nervous about this new challenge, it was amazing to hear how beautifully Deborah incorporated these pitches into the line, and how as listeners, we simply perceive these challenging pitches as part of the melodic line. Since I sing a fair amount of music in varying tuning systems both as a soloist and with my ensemble Ekmeles, I am constantly aware of how listeners are comfortable with, and open to, various tonalities and tuning systems… fascinating, particularly considering how hard we performers work to make this type of intonation as accurate as possible. An intriguing conversation ensued about balance- particularly how composers translate what will be an orchestral or chamber piece to the piano. Some composers discussed how the balance of what we hear in the C & V sessions is not what they have in mind for the final piece, which may be scored for singer and orchestra or chamber ensemble. 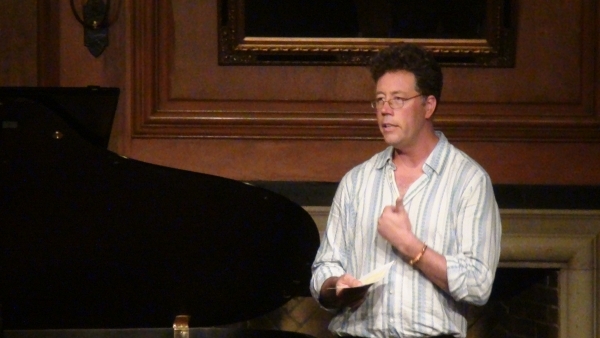 [C&V Artistic Director] Steve Osgood also raised the point of how we must ensure that the audience perceives big orchestral moments in which the singer is intentionally covered as purposeful, rather than an oversight in the balance. As singers it is difficult to know at times whether we’re being covered by the ensemble or riding above it, and we rely completely on the ears of others to make this distinction. Our entire sense of our voices in regard to balance is difficult to gauge. Another interesting dialogue arose in regard to text, and our impression of both comprehension and diction. Some in our group are foreign-born or non-native English speakers. Andreia Pinto-Correira raised a question about a particular word which she thought may be difficult to pronounce, but Dominic Armstrong clarified, saying that the word was not an issue for him. Kelly Horsted raised the point of syllabification in Jeremy Gill’s piece. A word which perhaps seemed strangely notated in the score, upon first glance, was actually more comprehensible due to Jeremy’s setting. During Matt Burn’s performance of Joseph Rubinstein’s piece, we again discussed the particular setting of a word and how it might be perceived as another word altogether. This idea of how things seem continues to intrigue me, in new music most of all. We are constantly engrossed by our sense of self, of who we are as singers, musicians, people. When we perform, our perception of our strengths and weaknesses plays out in all kinds of curious combinations, all of which make our work what it is. And in a premiere, this self awareness contributes to what will be the very first hearing of a new piece of music. On Monday night I was yet again moved by the talents, openness and support in our C & V group. When our personal perceptions lead us to doubt our abilities and performances, this positive and warm environment helps us find our footing and create the best of which we are capable. 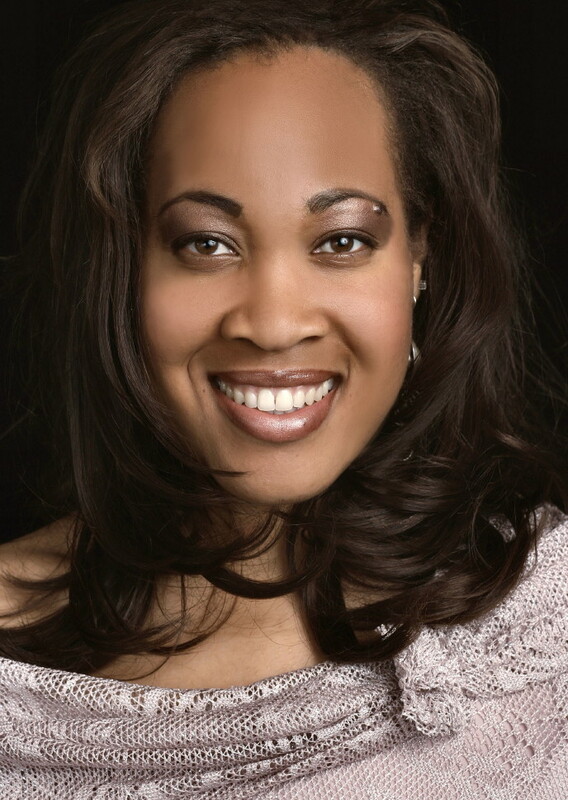 New York, NY—Soprano Janinah Burnett (Metropolitan Opera, La Bohème on Broadway) will portray American icon Harriet Tubman in a new folk opera with music and lyrics by Nigerian-American composer Nkeiru Okoye. Produced by AOP (American Opera Projects), Harriet Tubman: When I Crossed That Line to Freedom will premiere in a chamber version as one half of the Lines of Freedom festival running February 20 – March 1 at Irondale Center, 85 South Oxford Street, Brooklyn, NY. Tickets start at $15 and can be purchased at www.irondale.org or by telephone at Ovationtix, 866 811-4111. Tickets are also available at the TKTS Booth. Using a mixture of opera and vernacular folk music, featuring gospel spirituals, ragtime, early blues, minstrel songs, work songs, call and responses, and field hollers, Harriet Tubman: When I Crossed That Line to Freedom tells this important chapter of American history in the context of Tubman’s tight-knit family and the slavery threatening to tear them apart. 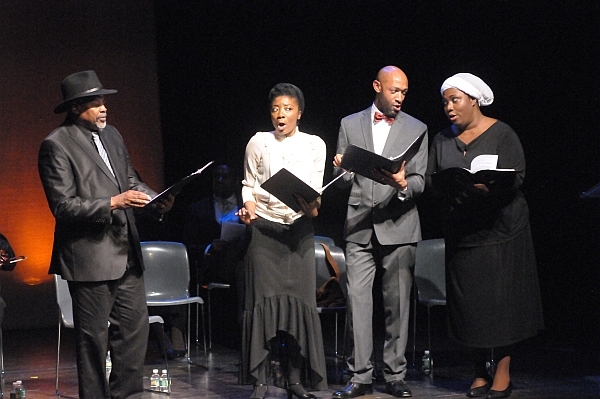 Clinton Ingram, Sequina DuBose, Damian Norfleet, and Nicole Mitchell in a December 2013 concert presentation of the folk opera at Schomburg Center for Research in Black Culture, Harlem, NY. The folk opera will also include vocal performances by Marsha Thompson (New York City Opera), Nicole Mitchell (Lincoln Center Festival), Clinton Ingram (Metropolitan Opera), Briana Elyse Hunter, Damian Norfleet, Patrice P. Eaton, Ernest Jackson, Kyle Guglielmo, and Anthony P. McGlaun and feature members of The Harlem Chamber Players, conducted by Leslie B. Dunner, with stage direction by Lemuel Wade (L’Opera de Montreal). 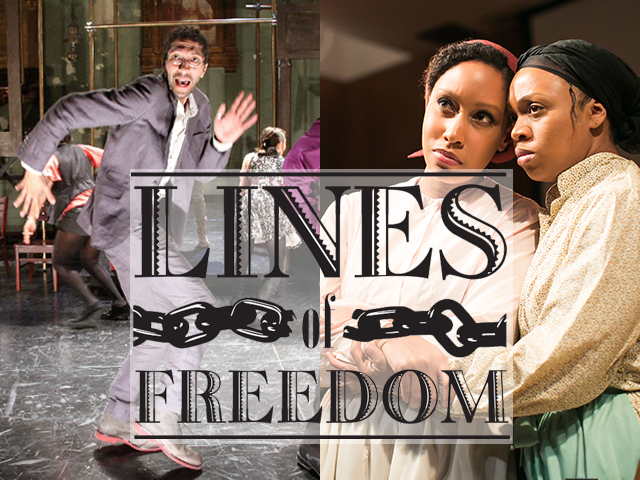 Lines of Freedom brings two works of exciting musical theater and opera to the stage in celebration of the rich heritage of abolitionism and the Underground Railroad. The shows are presented during Black History Month by The Irondale Ensemble Project and AOP (American Opera Projects), two arts organizations based in Fort Greene, Brooklyn. In addition to AOP’s Tubman opera, The Irondale Ensemble Project will present Color Between the Lines: The Abolitionist Struggle in Brooklyn, a work created in collaboration with Brooklyn Historical Society and Weeksville Heritage Center as part of In Pursuit of Freedom, the first public history project to explore abolition and the anti-slavery movement in Brooklyn. Presentations of Harriet Tubman: When I Crossed That Line to Freedom are supported, in part, by public funds from the New York City Department of Cultural Affairs in partnership with the City Council and a generous grant from the National Endowment for the Arts (NEA) Art Works. 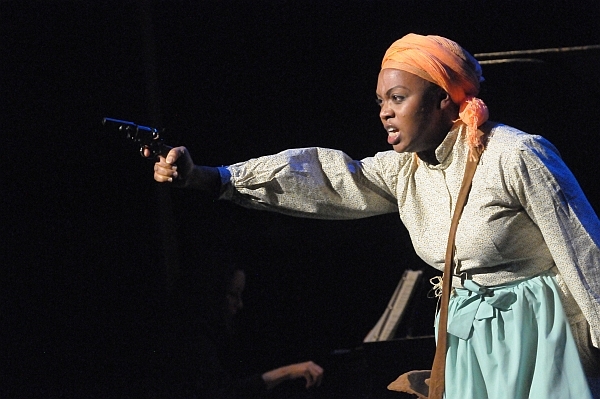 Soprano Sumayya Ali as Harriet Tubman in a December 2013 concert presentation of the folk opera at Schomburg Center for Research in Black Culture, Harlem, NY. 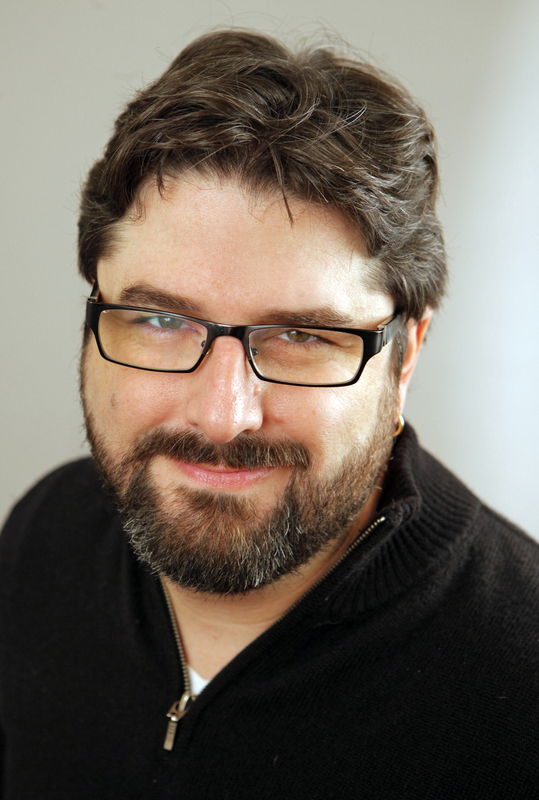 If you ever felt like being a composer was hard, well…it isn’t easy to be an actor either. This was one of the main points demonstrated by the most recent “Composers & the Voice” workshop, in which our trusty acting coach and guide-to-the-stage Pat Diamond led us on an intense exploration of the basics of bringing a character to life. We threw beanbags, created an imaginary Central Park Lake, and talked about mermaids – in my experience, not things you do in your typical new music workshop. In the previous session, Pat assigned each participant one of three short plays. I was given one of two characters in John Patrick Shanley‘s “A Lonely Impulse of Delight” – the story of a fraught male friendship set in present day New York City. Pat told me to read through it and answer a few questions about my character. The evening began with a general discussion of these questions: who our characters are, where they are, and what they are doing in the scene. From there, things got more subtle – Pat began asking us what our characters most desired, what they were most afraid of, and other personal questions that, if I were my character, I would probably find both hard to answer and even a little forward! Over the course of the evening, however, it became clear just how essential addressing these questions were in order for an actor to create a believable character on stage. Pat had the insight (playful instinct? dark impulse?) 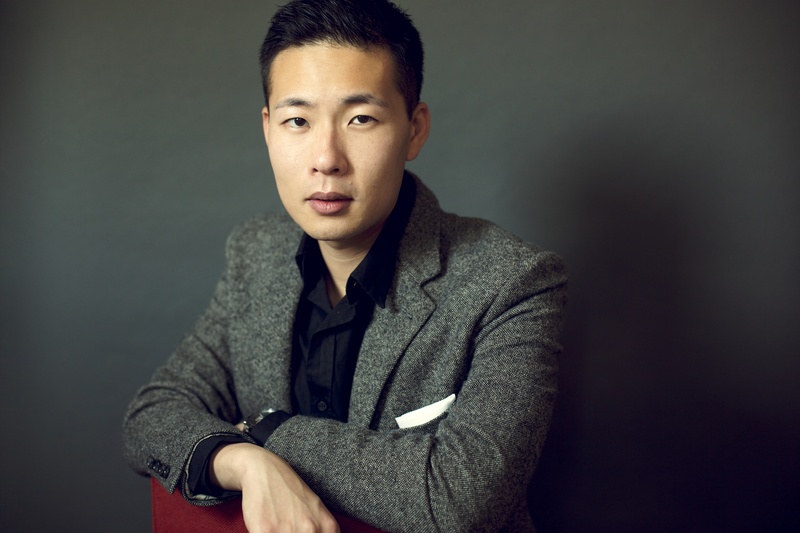 to pair me with my writing partner, Jason Kim. Jason and I are old friends from college, so portraying a psychologically complex situation in which two childhood friends reach a critical place in their adult relationship felt somewhat intense. Jason and I were brought to the stage and the remainder of the session was spent on our scene. We began by reading the scene sitting in two chairs, with the stricture that we had to deliver our lines while maintaining eye contact with each other. If eye contact was broken, we had to start again. The challenge with doing this is that I felt I was reading my lines in a stilted or deliberate way. I felt I had to “bring” more to the text emotionally than I could when I had to read and look up. This, it turned out, was exactly what Pat was hoping to address. He was trying to demonstrate that you don’t “bring” emotion to a set of lines when you read them; you use them as an exchange of emotional energy while keeping the backstory of the characters in mind. The backstory – who your character is, what their relationships are like – determines the particular inflection and type of response. Your job as an actor is to make that backstory a “real” part of how you exchange energy with another character. To further illustrate this point, Pat had us read our lines while throwing a beanbag back and forth at the moments when emotional energy would transfer from one character to another. After throwing the beanbags, Pat had us “create” the setting in which our scene takes place. We didn’t have props or scenery so this was a mental realization. Still, like the backstory of the characters, it had to feel “real” for it to be convincing. Delineating the boundaries of a “real” Central Park Lake – complete with a swamp, sidewalk, rocky outcropping, and other landscape features – is difficult in a brightly lit, rectangular room filled with chairs and outfitted with wood paneling. Jason and I did our best, but eventually Pat helped us out by showing us print-outs of pictures he had found online that he felt evoked the particular “look” of our scene. After browsing through the pictures – showing Central Park at night, moonlight on water, and even pictures of the mermaid that Jason’s character is in love with in the play – the other teams were exhorted to go and find pictures to “build” their own scenes themselves. Based on what I picked up on from the other composers, there should be some pretty entertaining pictures next time we meet – I believe that one play has various Greek gods making mischief on the New York City subway. You are currently browsing the Have a Voice blog archives for February, 2014.